The RapID system is the next generation in portable Raman raw materials ID verification, extending high-throughput spectroscopic analysis through clear packaging to non-transparent and colored containers. ID testing of materials in opaque containers can create a bottleneck in pharmaceutical manufacturing. A dedicated sampling area is needed to open, sample, test and re-seal each container to verify the content’s identity. 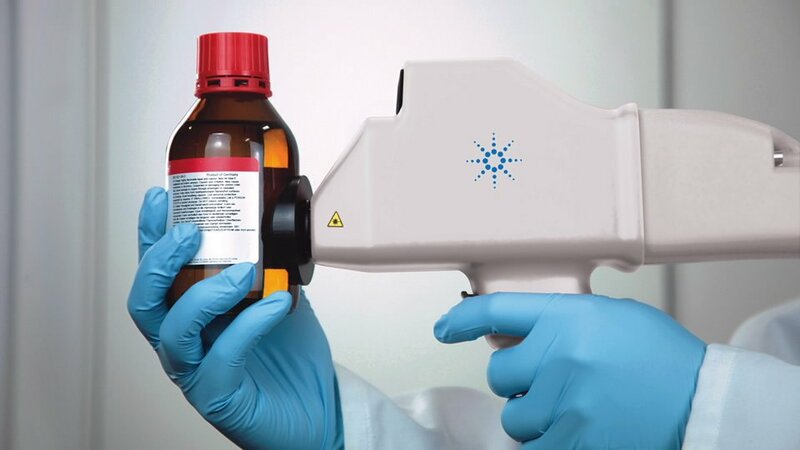 The RapID system uses spatially offset Raman spectroscopy (SORS) technology, which is a unique Raman variant ideally suited to noninvasive ID verification of raw materials. The RapID system allows the operator to verify the contents of each container through opaque and colored packaging in seconds, enabling release immediately into production. This saving on handling and lab testing reduces the overhead from hours or days to only minutes per batch. RapID is developed and manufactured by Cobalt Light Systems, now a part of Agilent Technologies. RapID is sold and supported in Canada by ProSpect Scientific Inc, specialists in Raman spectroscopy. Call ProSpect Scientific to arrange a demonstration.